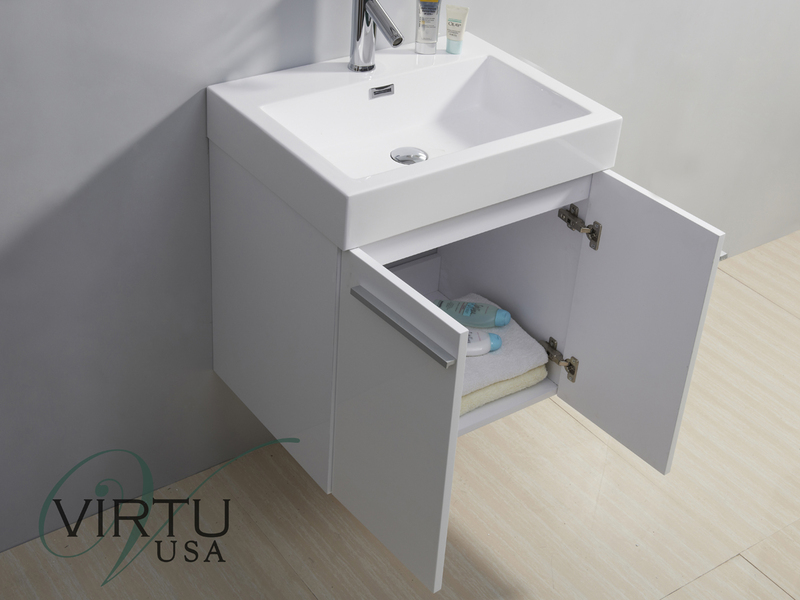 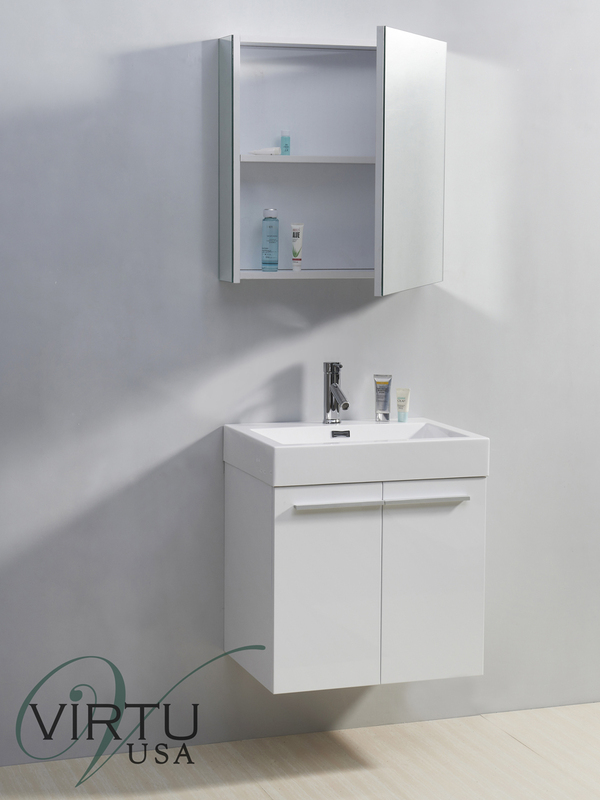 Perfect for small spaces, the 24" Midori Single Bath Vanity offers function and style in a petite package. 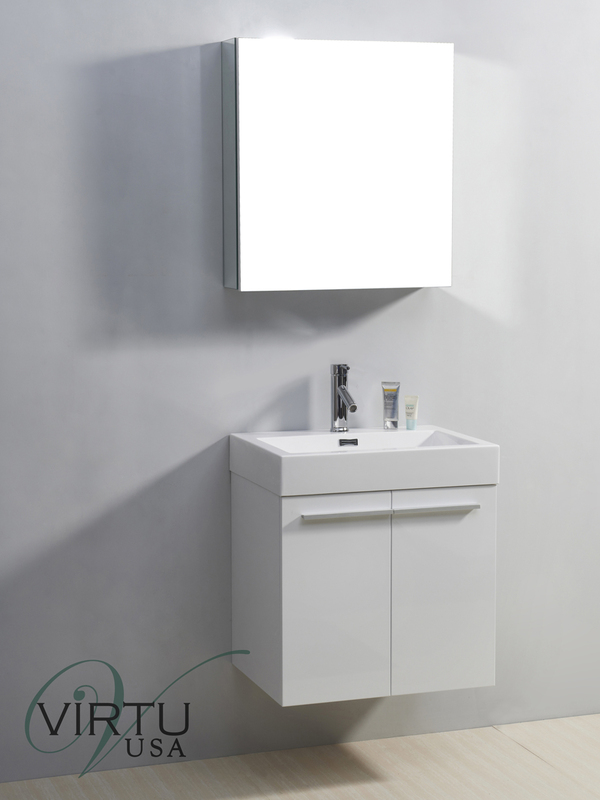 This beautiful vanity is constructed with durability and function in mind - with a high-gloss polymarble integrated sink top and beautiful White finish with a water-resistant sealer. 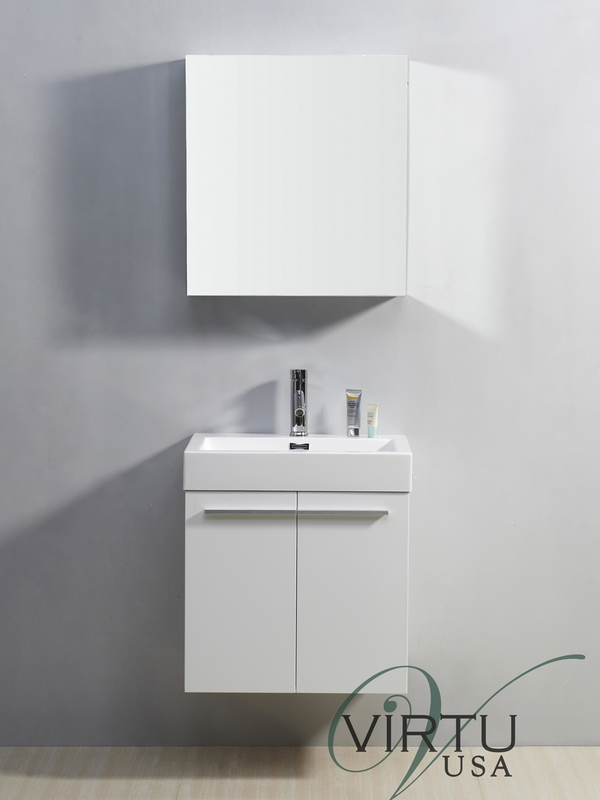 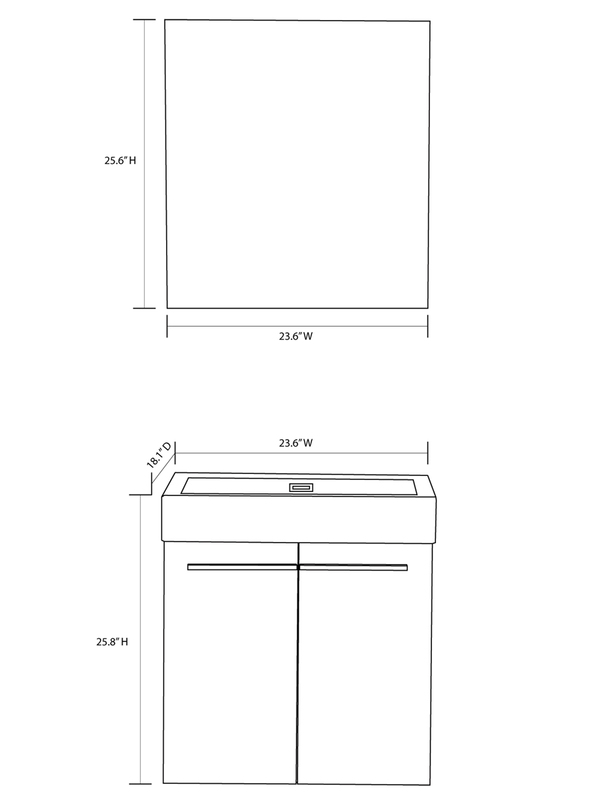 Its cabinet offers a double-door cabinet with BLUM soft-closing hinges and is adorned with a Satin Nickel handle that runs across both doors.